Studies have shown and I know from personal experience in my own classroom, that class size matters. Students receive more individualized attention and interact more with their teacher if class size is smaller. Teachers have more flexibility to use different instructional approaches with fewer students to focus on. Fewer students are less distracting to each other than a large group of children, behavior of students is improved. Teachers have more time to teach because there are fewer discipline problems. Students are more likely to participate in class and become more involved. Teachers have more time to cover additional material and use more supplementary texts and enrichment activities. Lower class size matters, and that is why when I was elected in 2012, I made it one of my primary goals to bring the high 29:1 ratio for K-3 classes back down. I made good on that promise and lowered class sizes to 27:1. With my re-election, more class size reduction will occur within two years. Being a twenty-year classroom teacher, I have seen educational initiatives come and go. It can seem overwhelming for parents and teachers alike when adjusting to a new set of standards. Parents across the country are trying to make sense of Common Core Standards, a set of academic expectations that call for less focus on memorization and more focus on explaining how solutions are found. The Common Core can be frustrating to students and parents. When parents are frustrated, it’s important that educators listen to them, but they can’t listen unless the parents talk to them. Speak with your child's teacher for assistance, we are here to help. In the next several years, I would like to see food quality in OVSD drastically improve. My son has never been pleased with OVSD school lunches and explained that they are tasteless and from a plastic package. As unappetizing as that sounds, there is a reason for it. Fresh foods are not allowed to be prepared on OVSD campuses due to Orange County Health Department Code. Outdated and in need of upgrades and modernization, our OVSD kitchens only have a two-sink system which by law are cannot have fresh food prepared in them. With the passage of Measure R this November 8, 2016, we can make the changes necessary in all OVSD school kitchens to move to the three-sink system and be able finally to serve fresh fruits and vegetables, salads, and entrees students will enjoy eating. As a fiscal conservative, I can say that low taxes are simply good policy and lower taxes are even better policy. Unfortunately, in the case of public education in California, school district budgets for facilities have been completely eliminated by Governor Jerry Brown. Where does that leave local school districts to raise the money for repairs and rehabilitation of aging facilities? Due to the condition of California's general fund budget, we at the local level are left to take matters into our own hands, to care of ourselves. We just cannot rely on Sacramento. 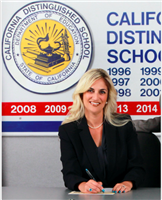 No one wants to pay more taxes, but let's look at the facts as they currently stand in OVSD. Most Ocean View School District schools were built close to 60 years ago and in dire need of upgrading. If passed, Measure R would make repairs and improvements so that our schools can serve our students and community well for the decades to come. The tax rate would be $30 per $100,000 of assessed value. This will cost the typical homeowner $110 per year. If we all tighten our belts, cut out buying one Starbucks coffee per week, we can make this happen. It seems overly simplistic, doesn't it? It is a sacrifice to make for peace of mind, to know our children, grandchildren, and neighbors will be in safe, upgraded and updated facilities. The best part, this tax is based on assessed value (not market value). The entire cost of the tax is deductible on state and federal income taxes. The Board of Trustees has learned that bonds could be issued sooner taking advantage of historically low interest rates, we are looking at 4%. We can't wait any longer, as inflation is sure to come in California. Construction costs are rising rapidly, and we need to get the work done to upgrade our deteriorating campuses before it becomes cost prohibitive. All funds from bonds sold will stay in Ocean View School District to support our local elementary and middle school students – Sacramento cannot take a single penny. Per California law, no Measure R money can be used for teachers' or administrators’ salaries or benefits. A Citizens’ Oversight Committee and annual independent audits are required to ensure all funds are spent according to voter-approved priorities. Our schools can’t rely on the State to complete these repairs. Measure R would provide locally-controlled funds to complete prioritized projects and provide a safe and modern learning environment for our students. Vote Yes on R.